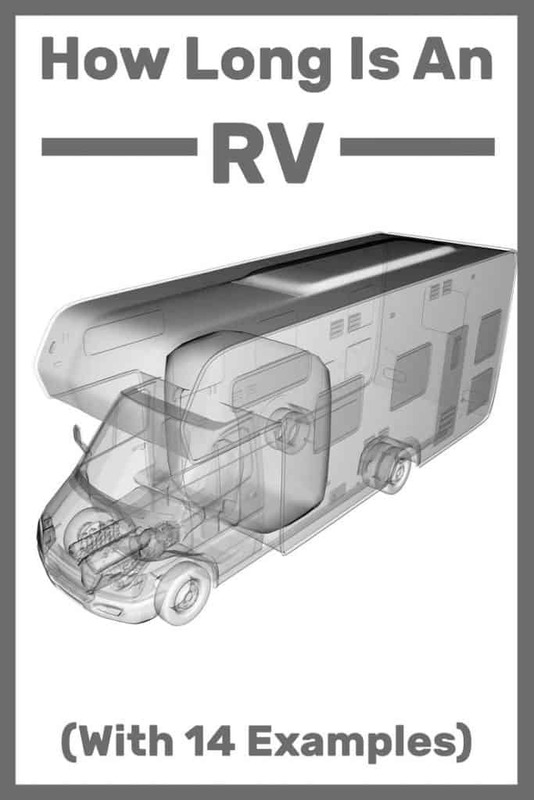 Once you have your own RV, you will absolutely need to know its exact size – including length specs. At this point, you may be wondering just how big of a beast an RV even is. Will it be an issue to get one into a gas station, for example? Is it hard to maneuver on the road? When searching for an RV to rent or buy, or just expanding your general knowledge, getting the facts right is necessary so we’re here to help you with some well-research info! Class A motorhomes (the ones that look like a big bus) – 33 feet on average. “Converted Vans ” Class B motorhomes – 20 feet long on average. Class C motorhomes – an average length of 28 feet. If you already know your way around RV’s you may be rolling your eyes at this point. Even if just a little. Because yes, these are just rough averages. In real life, you could find longer – and shorter – versions for each of these. 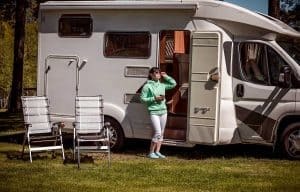 On the other hand, if you’re absolutely new to RV’s, you may be scratching your head at the terms wondering what the heck a Class C motorhome or even a 5th wheel is. So, let’s dig a little bit deeper. We’ll try and address your concerns – regardless of how inexperienced you are. Clearly, this really matters when you’re trying to gauge the overall length you’ll be taking on the road. If you’re new to RV’s, you may want to take a break at this point and read our Guide to the Types of RV’s. It explains everything about the difference between motorhomes, travel trailers, 5th wheels, truck campers and everything else you need to know. Back already? Welcome back! Let’s continue right on. So, when discussing length, motorhomes are pretty straightforward. When you say a motorhome is 31 feet long, you mean the total length of the entire unit. You can’t separate the driving cab from the rest of the RV so you would always measure them together. When you’re talking about travel campers, however – 5th wheels or travel trailers – you talk about the length of the trailer itself. Without the hitch and definitely without the towing vehicle. Which makes a huge difference. A 32 ft long 5th wheel is a huge thing because it’s all dedicated to your living space. A 33 ft motorhome, on the other hand, includes the driving area as well. Once on the road, the total length of your rig with a crew-cab type pickup truck with a large 5th wheel is going to be longer – and more difficult to drive – than a large Class A motorhome. (See here about types of pickup truck cabs if you’re not sure what a crew cab is). 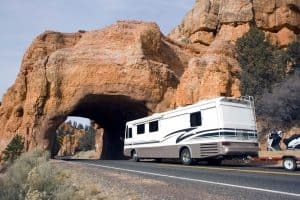 With that in mind, let’s look at specific models of RV’s to get a better grasp of how long they are – and what that length actually provides you with. The luxury ride, known as the “home away from home”, Class A motorhomes are often the choice of full-time RVers. A nicely-sized one can weigh more than 40,000 pounds, but of course, the weight – and length – differ for various models. Class A RV’s come with everything that you need and can make you feel right at home with all the required amenities, not to mention ample living space. Best of all, with no need to tow, driving is relatively straightforward. Let’s look at how long some of the popular Class A motorhomes can get. The exterior of a class B motorhome gives the appearance of an oversized van, so these are also sometimes referred to as camper vans. The interior of the van is big enough for a proper medium-sized room. The toilet and shower are typically combined into one space, and there is also a separate kitchen and living room area – but these all tend to be quite compact in size. However, with compactness also comes convenience, not to mention lower cost – these vans are typically among the least expensive of RV’s, and the size makes for effortless driving and easy parking experience. Hence, for those on a budget – this is an ideal choice. The C class is considered by some to be a compromise between the other two classes in terms of space, mileage, and convenience. They are also known as mini-motorhomes. These large travel vans are a condensed version of the Class A motorhome, giving a similar feel and vibe, both on the road and at the camping ground. The sleeping compartment of these RVs tends to be more spacious than the lounging part. Moving on to the towed options, let’s start with 5th wheels. If you’re unfamiliar with the term, take a minute to read our post: What exactly is a 5th wheel. In a nutshell, this is a large towable RV that sits on top of the bed of a pickup truck. The major advantage of this type of RV is that it has a more suitable turning radius and is easier to control than a regular trailer. 5th wheels also offer a more stable towing experience and are less prone to dangerous trailer sway issues. They do have to be towed by a pickup truck and you need to make sure you have a truck that’s powerful enough to tow these relatively heavy units. We actually have a post dedicated to the question of whether or not you can tow a 5th Wheel with a half-ton pickup truck. Now, let’s take a look at the average length of 5th wheels. Remember, this is the length without the tow truck or the hitch! And yes, 5th wheels tend to be big! In comparison to the 5th wheels, travel trailers are lighter and generally smaller. You get a bit more leverage to make most out of smaller parking spaces and campsites. Depending on the size, you still get to enjoy a comfortable amount of living space. Unlike the 5th wheel, the travel trailer doesn’t have to be towed by a pickup truck. Depending on its size, it can be hooked up to almost any family vehicle that’s large enough. Read here more about SUVs vs. pickup trucks for towing an RV. 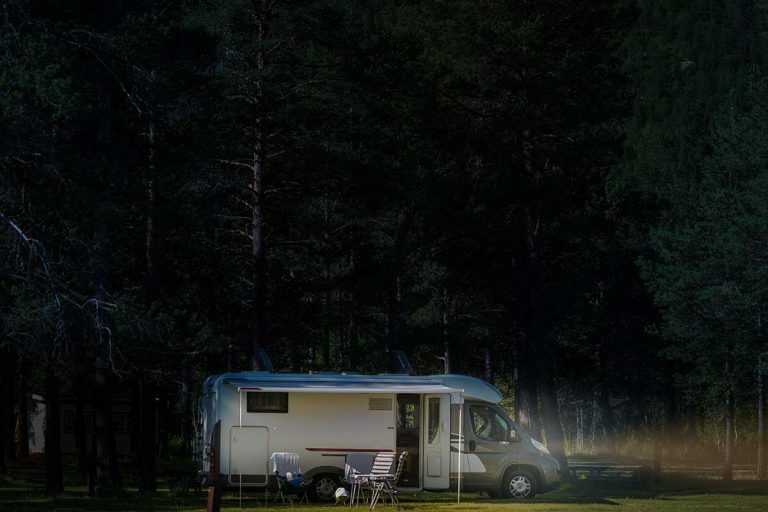 Once parked, it is plenty comfortable to live in – most travel trailers come with slide-out panels and sleeping areas, providing an extended living space when parked. So, how long are travel trailers? They’re as versatile as you can get, really. From tiny travel trailers known as teardrop trailers to fairly large ones. 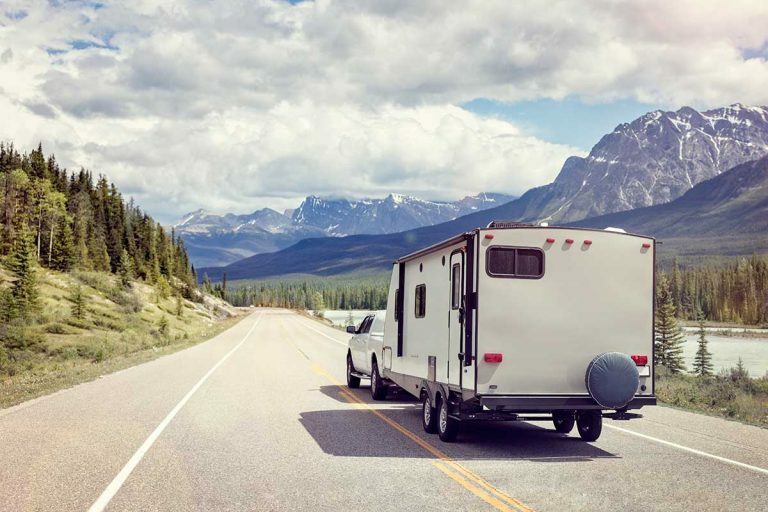 If you’re looking for something that can be towed even with a midsize SUV, check out our post about the most lightweight travel trailers out there. Now, let’s take a look at some length examples. 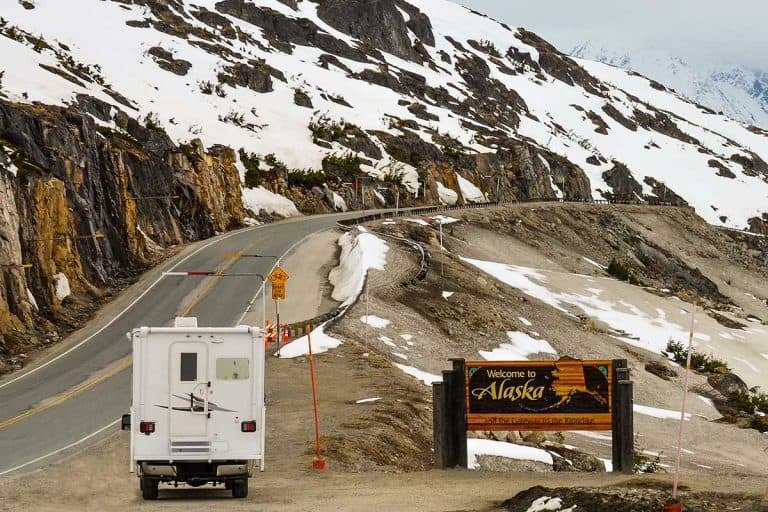 What is the RV length limit in national parks? This is such a commonly-faced issue and a concern for many people, we decided to include a reference to the question in this post. Campsites for RV’s are usually defined by the length of RV they’re suitable for. Shorter rigs can fit in pretty much anywhere, so when there’s only a limited number of spots left, they can squeeze into any one of them. 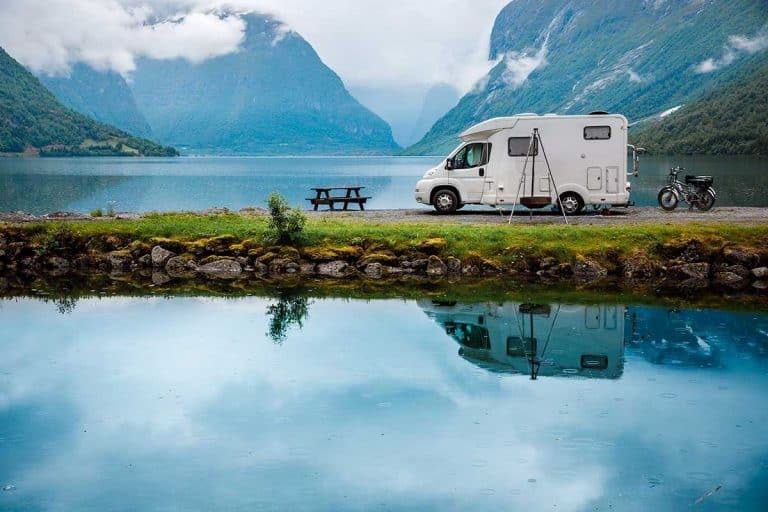 However, a huge Class A motorhome or 5th wheel need long camping sites – and these may not be available by the time their owners arrive at the camp or make the reservation. So, length matters. And yes, it matters pretty much in any campground, not just in national parks. However, national parks almost always have a more limited supply of campsites. These campgrounds are also limited in overall span, with sites often places in areas that have trees. Overall, this means shorter sites on average. 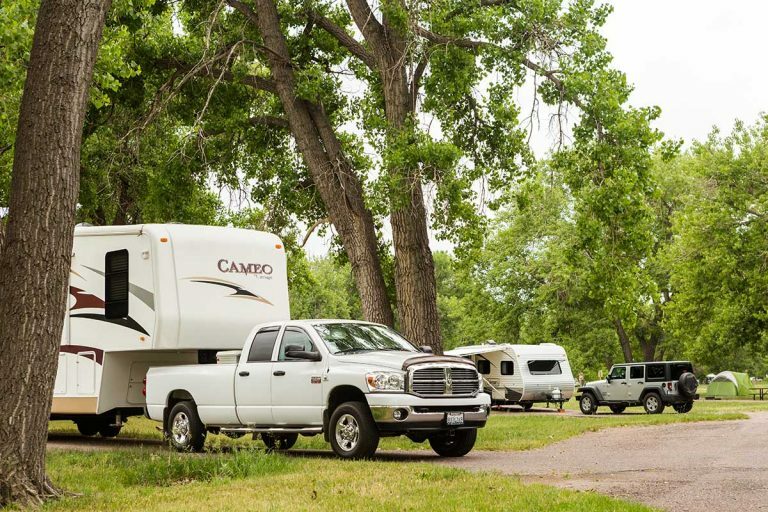 Campsites at any national parks have a varied of size restrictions for RVs. The size permitted on average is about 27 feet, but depending on the state and area, there are sites that cover the ranges from 20 to 40 feet. There are not very many public sites that provide free areas of over 40 feet in length. You will find camping sites suitable for larger rigs only in about half of the national parks. And even there, these spaces will be in limited supply. If you want to stay on the safe side, 25 feet and under will get you into more than 90% of the campground in National Parks. So, which RV length would work best for you? If you’re about to buy an RV, give the issue of length some thought. A lot depends on the nature of your planned usage. Full-timers tend to prefer larger – and longer – setups. Especially if they’re traveling with kids. For weekend vacations in your camper, a shorter RV may be the better option, making it easier to drive around and find campsites. Next PostWhat Should I Put in My RV Black Tank? 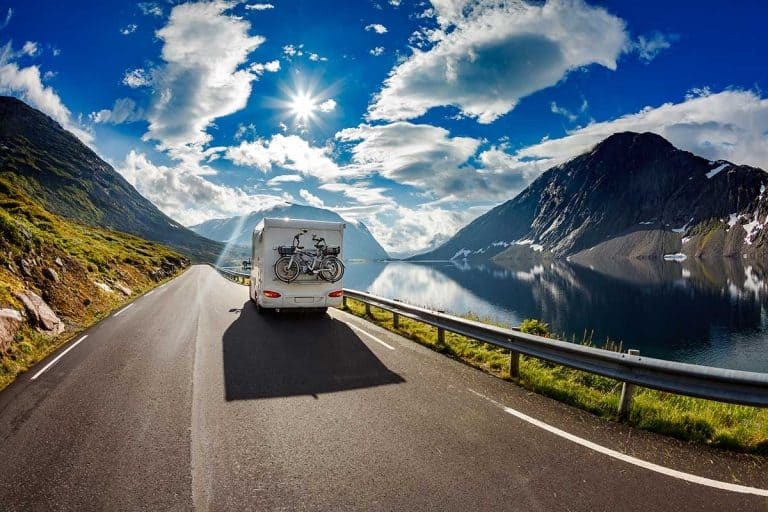 Should You Get a Travel Trailer or a Motorhome?